The Musée de la civilisation launched an online exhibit last Thursday called Images on Stone, highlighting the ancient rock art in Canada to let the public discover the wealth of Indigenous cultural heritage. 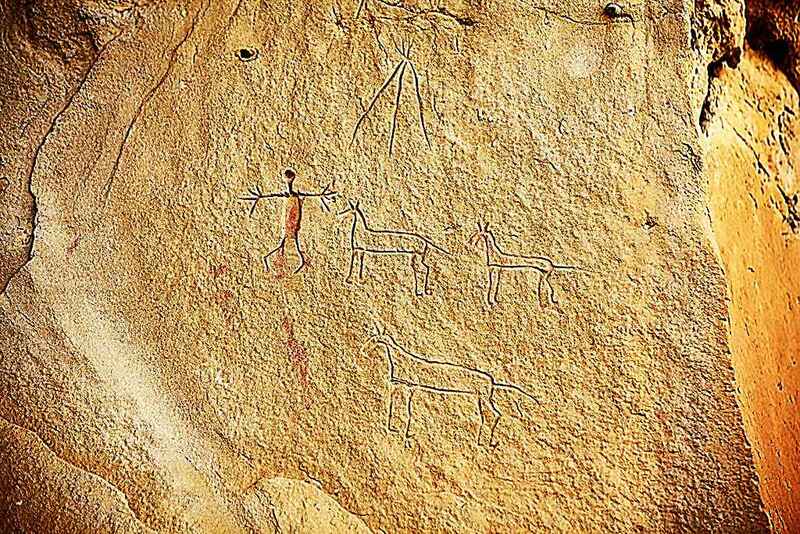 The term rock art refers to an old form of illustration, which includes painted and carved works on natural stone, and today the rock art sites are considered as “the most widespread cultural phenomena of humanity,” according to the website. In Canada, rock art is found everywhere across the country. Dagmara Zawadzka, a researcher at Université du Québec à Montréal, said the exact number of sites is to be determined, but estimations show about 3,000 of them. “We have sites in Nova Scotia, New Brunswick, Quebec, Ontario, Manitoba, Saskatchewan, Alberta, Northwest territories. 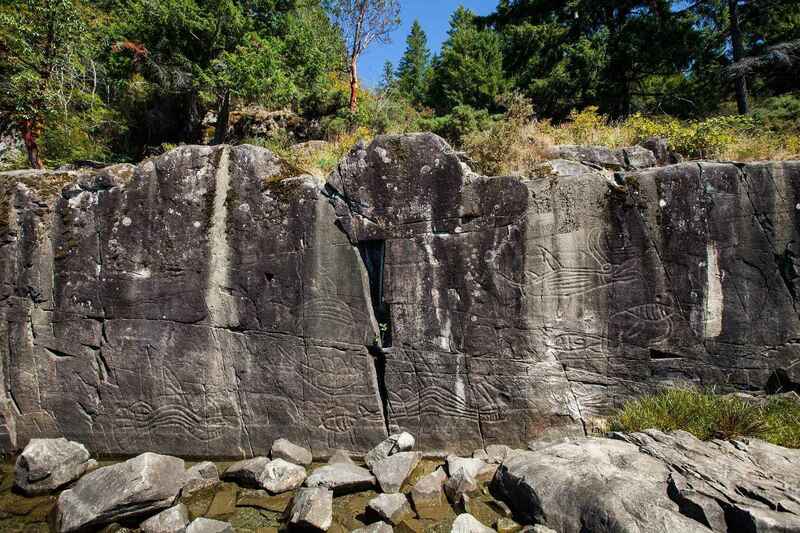 British Columbia has the most rock art in Canada that we know today, so it is a very rich province in terms of the rock art,” Zawadzka said. In Quebec, we have 20 sites where the remains of rock paintings were found, she said. “Quebec is very interesting, because you find them along the St. Lawrence River and further away from the St. Lawrence River. For example, one of the closest and accessible sites for people is Mauricie National Park, near Trois-Rivieres. “Also, there is site in Abitibi, the only known site in the Canadian arctic, located in Quebec. We have sites in Quebec from the south all the way to the north, you find them pretty much everywhere,” she said. Zawadzka thinks the Images on Stone exhibit gives an idea of the culture that people don’t know about because of lack of space or “non-showcase” status. “There are sites which are more remote and local Indigenous people don’t want these sites to be known, because they still practice their ceremonies there. They don’t want to be desecrated, to avoid vandalism. We have to accept it and we have to respect that,” she said. Zawadzka said in provincial parks there is a lot of vandalism, especially at sites very close to human habitations. “The Rocher à l’Oiseau site on the Ottawa River is one in particular, because it is a major river where people go with motorboats and they cruise by; they can stop and do it,” she said. To protect those sites, this online exhibit was created, she said. “The best thing is to educate, so people learn to appreciate their heritage, because the damage causes a significant loss for both Canadian and Indigenous cultures,” she said. The exhibit website demonstrates five rock art sites which are being showcased across Canada to give an idea of this artwork. Zawadzka said after some discussions they decided to publish those sites that are already well-known: Kejimkujik (Nova Scotia), Pepeshapissinikan (Quebec), Qajartalik (Quebec), Áísínai’pi (Alberta), K’aka’win (British Columbia). “The general public who is going to view this exhibit can go there. There is infrastructure to welcome them, for example, the Áísínai›pi site in Alberta. It is a huge park, where the guide is present there, there are measures put to minimize any type of damage. So, we try to combine the knowledge with heritage,” she said. Camina Weasel Moccasin, a member of the Kainai nation and a government of Alberta employee, said the purpose of the rock art project is helping people to gain a better awareness of First Nations cultures that exist in Alberta. “It really can help them understand the complexity of the culture and the beliefs and how closely that culture and the belief system ultimately connected to the landscape,” she said. Moccasin said there are hundreds of locations of the rock art and over 2,000 recorded images. “Now the park has a rock art monitoring program and through that program they are continuing to discover new images that had not previously been recorded,” she said. Moccasin explained usually the images are classified by two types: ceremonial and biographical. “I don’t see a difference between ceremonial and biographical, because even if they are depicting something ceremonial, that person is most likely involved in ceremonies, so it is biographical in a sense. “But a lot of the images depict different ceremonies that had happened, they depict people’s personal experiences, like going to war or in a horse raid and sometimes even the battles being depicted as well,” she said. Both ceremonial and biographical give a good snap shot and transition through time, she said. “Some of the rock art is dated to over 2,000 years ago. So, we are able to see a transition of warriors that are pedestrians, having the large shield that covers the entire body. And then we see the introduction of the horse, and because of that the shield got much smaller. And then we start to see the introduction of guns and the way guns really impacted war that happened between tribes,” Moccasin said. At the same time, she said, the rock art is not a complete representation of the culture. “In that sense you can kind of show the way that the culture adapted through time but again you can get a good sense of how war or battles adapted through time by looking at the rock art, but you cannot really get sense of how clothes or dress may have changed,” Moccasin said. She thinks the online exhibition is important, because people can understand their heritage better and themselves. “With program like this, people become educated. I guess knowing the past of the culture of the people can help them understand why that culture and people are the way they are today,” she said.